Sunset Fair is one of Greenfield District’s way of celebrating with families. 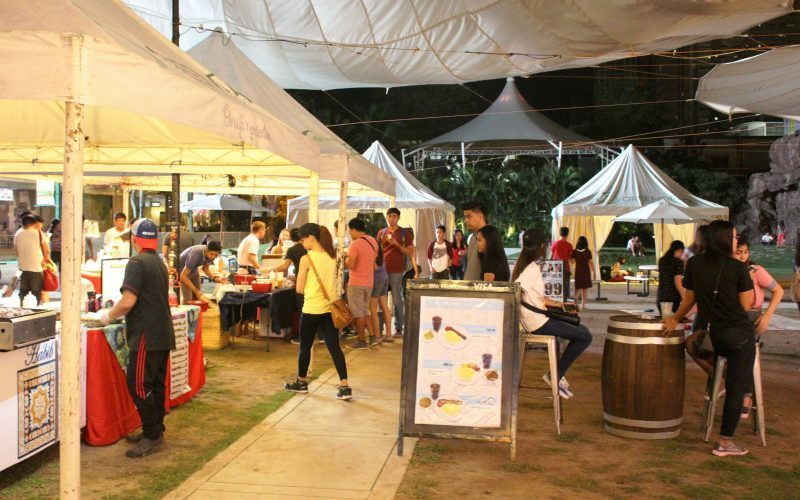 Every Sunday, Central Park becomes a stage where loved ones and friends can spend time together in an afternoon devoted to great music, sumptuous food, and fun activities. After a year of bringing families together, Sunset Fair has prepared something even more special this coming Sunday. A star-studded celebration awaits this December 10 as 21 of the most famous personalities in the country—some of the most followed actors, models, and influencers—will be opening their own booth at Sunset Fair’s Celebrity Bazaar. Shopping with the family is bound to be full of thrilling meets and mega finds. Some of those attending will include Victor Basa, Phoemela Baranda, John James Uy, and Megan Young. “Helping forge a stronger family bond—one that can stand for generations—is at the heart of what we do at Greenfield. From our developments to our events, it has always been about creating idyllic moments for the family. This Christmas, we are pleased to be able to gift families with such a moment through Sunset Fair’s first anniversary celebration,” said Atty. Duane A.X Santos, president and general manager of Greenfield Development Corporation. Greenfield District’s Sunset Fair Celebrity Christmas Bazaar will be open from 4pm to 12midnight. To know more about this event and other Greenfield activities, visit www.facebook.com/GreenfieldDistrict.